Our Outdoor Adventure continues ... 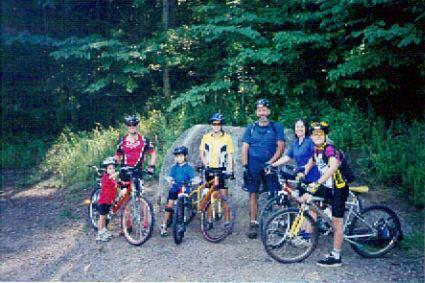 Many of the Trails for Mountain Biking are also shared with hikers and horseback riders. 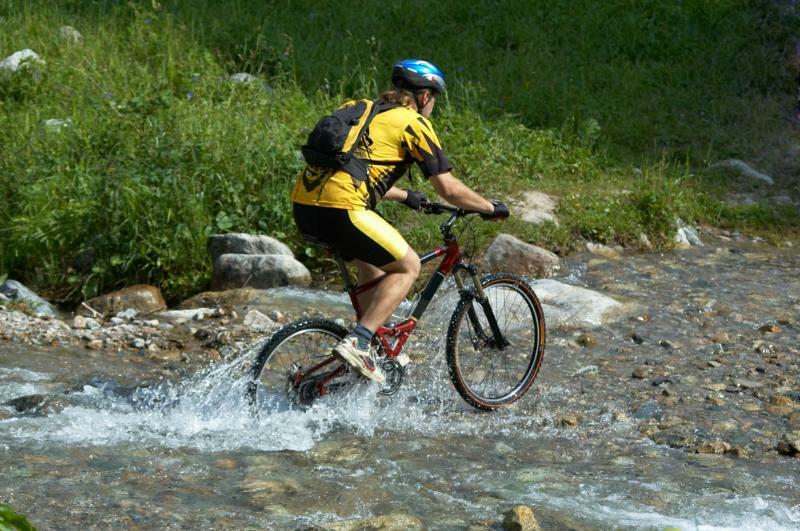 Biking is another great outdoor activity for all levels to participate in and enjoy. So grab your helmet and let's get riding! Hanging Dog Trail Is 4 miles total out-and-back gravel service road, combined with to-be-determined singletrack loops off the main out-and-back. There are two fairly long climbs, both of which are steep. The road has a thick layer of gravel in most places. Tsali The 4-loop system offers a variety of landscapes. You can climb 1-foot wide rugged paths or travel flat, well-beaten roads. The four trails...Right, Left, Mouse Branch, and Thompson Loop, meander through mixed pine and hardwoods on a peninsula stretching into Fontana Lake. Flat Creek This is a loop trail that is approximately 5.5 miles in length, mostly singletrack. Just down the road are the Green Mountain & Stanley Gap trails. Carter's Lake The main trail is a loop approximately 6 miles long. Several other short spur trails exist within the park that allow for longer rides. Trail features include a mixture of single track, narrow logging roads along with challenging climbs, stream crossings and technical downhills. Indian Boundary This trail loops around Indian Boundary Lake. The trail is NOT challenging. Mostly flat with no significant climbs or technicality to it. The surface is sand/pea gravel like and it has numerous bridges. Great views of Flats Mountain and different forest types on this pretty trail. Tanasi Located near the Ocoee White Water Ctr.,the trail consists of mostly machine-cut singletrack loops, connected together by forest service roads. 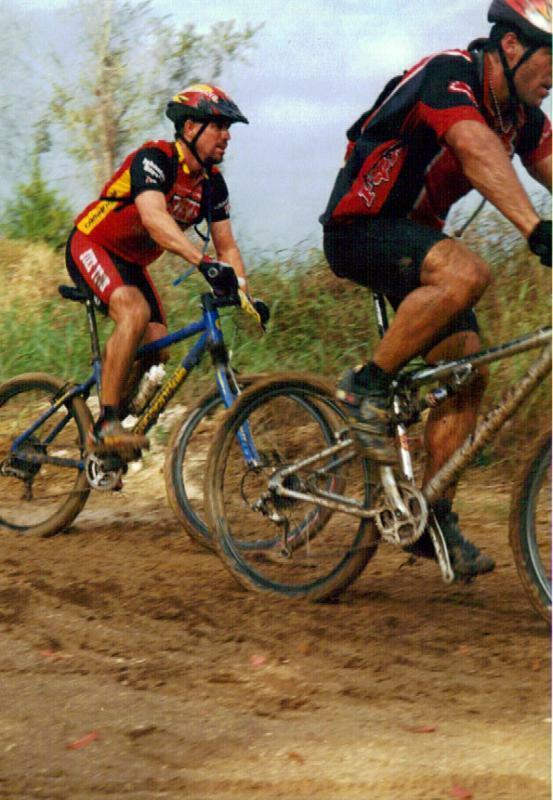 No visit is complete without riding the Riverview Loop trail or descending the Thunder Rock Express trail, one of the best down hill cross country mountain bike trails in the state. Road To Nowhere This is the locally famous "Road to Nowhere," a road leading into the Great Smoky Mountains National Park that was begun in 1941 and has yet to be completed. Consist of 17 total miles with 1,800 feet trailhead elevation with a top elevation of 2,600 feet. Blue Ridge Loop This route will take you from Ellijay to Blue Ridge and back through very scenic, rural mountain countryside. 58 total miles with 1,400 feet trailhead elevation with a top elevation of 2,400 feet. Six Gap This rugged roller coaster ride through the foothills of the Blue Ridge Mountains is sure to challenge the best you've got to offer. Consist of 99.2 total miles with elevation gain of 10,300 feet!